Okay, So let’s make something really clear right from the start. Oranges were never named for their color. Let’s find out how they get their hue, why most ripe oranges are being dyed, and why nothing is really how it seems in the world. We are not really clear on many name origins for fruits as it remains a mystery, the orange should be a no-brainer right? It actually was named for its color. 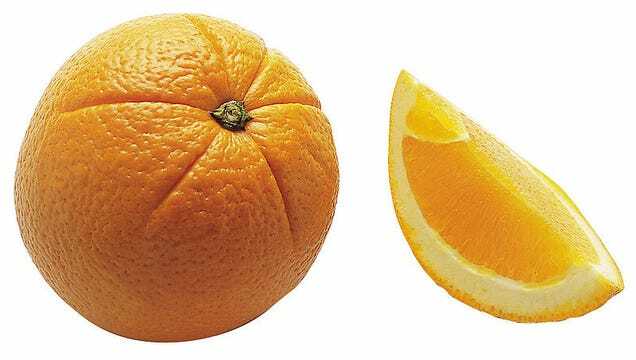 Actually, the use of the word ‘orange’ was to describe the cross between yellow and red wasn’t even recorded until 300 years after the fruit had already surfaced in Europe. It is suspected that the orange got its name from the Sanskrit word for fragrant – Naranja. Even though, the flesh of an orange does usually resemble a yummy orange, usually in the warmer climate countries they are green. Usually, many fruits are harvested while they are still a bit green and then left to ripen during their trip to the grocery store. Most green oranges are perfectly ripe and need no more ripening. When they are turning orange they are already on the decline to be rotten. And this is not an indication that the natural colors are not making their through to the outside. It’s just pumped full of chlorophyll. In the really warm and sunny countries, the chlorophyll stays in the fruit. When the fruit is exposed to cold that’s when then chlorophyll dies off and the orange can shine its color through. In South America and other countries near the equator, oranges actually stay green all year round. In the U.S., oranges the oranges that are grown during the early spring or in late fall turn orange all on their own. The ones that see the hottest parts of summer end up staying green. For farmers, this is really frustrating because oranges can actually turn green again by sucking the chlorophyll back into the interior of the orange. Since most people think that an orange must be orange in order for it to be edible and tasty, most green oranges in the U.S. and Europe have to be colored in order to able to sell them. Sometimes they are exposed to ethylene gas, which breaks down chlorophyll. Some are shocked cold or covered with wax. Some are even scrubbed with detergent and even dipped in dye! They will do anything to sell!